Experience live music, outdoor games, an interactive photo booth, entertainment for the kids including bouncy castles, an obstacle course, face painting and of course, amazing sidewalk sales! 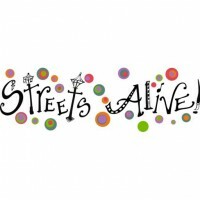 Orillia’s very own living art program, Streets Alive!, kicks off for another great season of dazzling art pieces. This year’s theme is pedal power, featuring decorated bikes of all kind. A festive day at the Port of Orillia presented by the Orillia District Chamber of Commerce! Large boater rendezvous & fabulous decorated boat contest, free to viewing public! 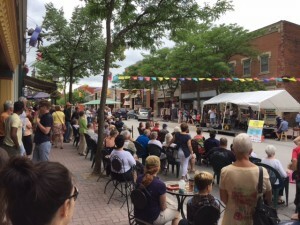 Orillia’s largest festival is once again featuring the Downtown Stage! Visit the official Mariposa Folk Stages, check out Showcase winning acts & kids’ activities. 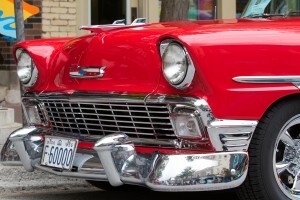 A jaw-dropping collection of over 400 classic cars line the Downtown streets! Enjoy live entertainment, great dining, shopping and the largest car show in the region! Experience Downtown Orillia’s vibrant arts community and meet local artists in their studios and at host galleries, all under the starry sky! Come downtown and enjoy a magical evening of local fare prepared for you by downtown restaurants. Enjoy the ambiance, listen to the sound of music, watch the sunset & enjoy a delicious dinner on the main street. Come experience all things that go bump in the night in Downtown Orillia. Haunted tours begin at The Opera House & Orillia Museum of Art & History and continue throughout frightful spaces downtown! 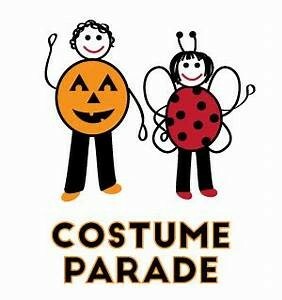 Bring the family, dress in costume and join us for this FREE fun costume parade & contest! 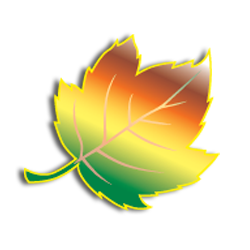 Trick OR treat at participating downtown merchants’ businesses & enjoy kid’s activities & more. Bring the Christmas spirit to life as we light up the downtown! Join the countdown to light the Opera House tree, enjoy free hot chocolate & treats plus meet SANTA! The largest Christmas parade north of Toronto! 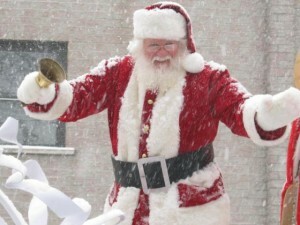 Help welcome Santa as over 100 floats and bands lead the way for him through Downtown Orillia. 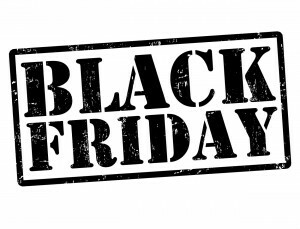 Take advantage of outrageous specials throughout the Downtown! Stores are open late but we won’t tell if you book the day off work to SHOP! 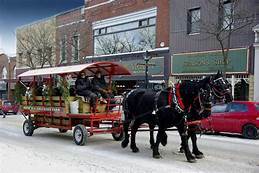 Hop aboard a free horse drawn wagon ride, explore the Downtown as you get into the Christmas spirit!